Stackable, a colorful combination of jewelry and accessory storage trays with the unique Modular feature that allows you to add more trays as your jewelry collection grows. 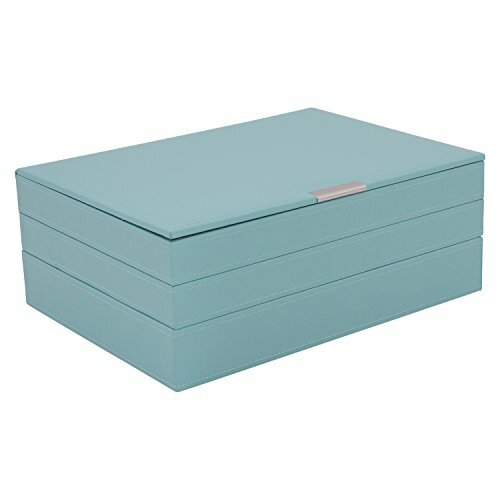 Includes 3 trays (39 jewelry compartments and 12 ring rolls), aqua faux leather and orange grosgrain lining. 2 medium trays can also be stacked within 1 large tray.